Canyon Critters was founded by Nicola "Nico" Novelli as a way to educate people about proper and responsible reptile ownership, as well as a way to support the ever growing number of rescued and abandoned critters he has taken in. Nico first started taking in rescues when he worked for L.A. County Animal Control as an alternative to euthanizing them. Nico's reptile/animal experiences started long before his time with Animal Control. 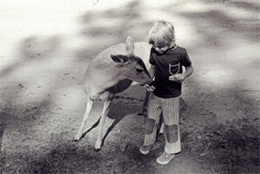 As young as 6 he would bring home all kinds of animals to help and care for. Aside for owning and handling many animals especially snakes for over 30 years he also had the privilege to work for Jules Sylvester owner of Reptile Rentals. Reptile Rentals supplies reptiles to the entertainment industry, with such movies as Indiana Jones, Arachnophobia, Lemony Snicket, and Snakes on a Plane to name a few. 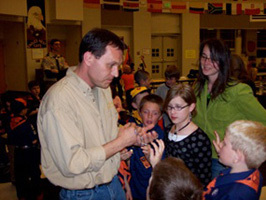 Nico assisted with the care and training of all kinds of animals while with Reptile Rentals and Animal Actors. In addition Nico also lived and worked at a wolf rescue, which is where some of his wolves came from. Nico has dedicated most of his life to the care and welfare of animals.